Ever thought what it would be like in the absence of Google, with a plethora of questions humming in your head and no Google to answer them? What will happen if you are stuck at an unknown place, and there are no Google maps to guide you through the route? Ever given a moment to think that what will happen if all of a sudden Google gets wiped out of our lives? Sounds scary, no? Similar is the doom that Chinese population is forced to face these days because of the resolution of the Chinese government to proscribe entrée to Google and various analogous browsing and social networking sites as a result of the 25th anniversary of Tiananmen Square incident in 2014. Since last two years, the Chinese population is deprived of Google, Google+, Facebook, YouTube, Instagram, etc. Shall Foreigners also remain dispossessed of social networking sites? Just imagine how exasperating it will be to click a selfie on Great Wall of China and there is the absolute absence of Instagram or Facebook to post that click! How infuriating it will be roaming on streets of Shanghai and Hong Kong and there is no Wikipedia or Google map to guide through the streets and history of the place. The ban on Google was perceptibly not acceptable by the Chinese population as it came with a ban on Facebook, YouTube, Instagram, etc. too. Thus, it became a mandatory task for youth, and tech savvies to develop a breakthrough to this outlaw. The only American search engine in China that can be accessed legally is Yahoo, which is no better than reversing our lives ten years back to low speed data availability. Thus, Yahoo and on hand social media got flooded with queries of a population that usually captioned Google in China, not only in China but worldwide as it became a matter of grave concern and amusement for a world audience. Case studies, links, and projects began to flow on the internet that captioned, Google in China. Mayhem arose on available search engines in China, and this is how the illegal ways were invented that are illustrated over here for the visiting foreigners to China to access Google. The first and foremost option available in China is “Chinese Google”. It is a sort of ancillary of Google. Although it is the third most popular search engine in China after Baidu and Soso.com, yet it can be used to an extent to satiate the eagerness for browsing through Google. Ban on Google also means the death of Google Maps, Gmail, Google+. The absence of these medias is helped by other available options, for instance, WeChat can be utilized in place of Google+ to interact on social media, Yahoo mail is a safe and legal replacement for Gmail. 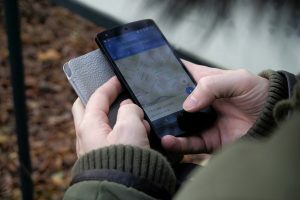 The most complicated app to find a proxy for is Google Maps because of its wideness and cross-platform services. OpenStreetMap for desktops and Mapquest is the best available alternatives to Google Maps. 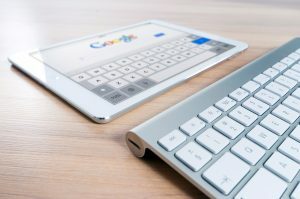 The above options are the available alternatives that can be taken advantage of to carry out the absence of Google and its features, but these are not the only choices. Technological advancements have made it possible to access the remote objects without disclosing one’s actual location. This feature has made it possible for the visiting foreigners to China to access the Google of US and nearby countries, during their stay in China. This access to Google in China is feasible only with the help of VPN (Virtual Private Network). VPN helps browse internet of one place while staying miles apart from this location. Hereafter, few steps have been written to help users guide through the method of installing and utilizing VPN for their advantage to use Google in China. VPN routes the data search through private sources that are usually encrypted and hide the IP address to ensure the secrecy of the user and his location. It is necessary that the opted VPN has volume enough to support the Google surf in China. Moreover, it should be understood that using VPN is not an illegal activity as it is technically legal to use private networks, therefore, go on with the secret Google searches without any apprehension. Users must understand that they will not be able to access complete information on Google since Chinese government dictates data that should be accessed by its citizens. No other worldly information is allowed to be accessed by Chinese population as a part of its public policy which is also the primary reason behind the ban on Google. A plethora of options is available to go for selecting suitable VPN, for instance: fqrouter, SuperVPN, ExpressVPN, 12VPN, VPN.AC, and VyprVPN. Foreigners can download the ones that best fit their pockets and data requirements. Now, installing VPN beforehand won’t complete the task. Permission of few rules is essential to continue with the Google searches. OpenVPN, L2TP, PPTP, SSTP are few popular downloads that legalize the usage of VPN network. Here comes the most difficult choice, i.e., which country to choose as the host country for disguising the Google search in China! Preferably, it should be western countries as they facilitate high-speed downloads. Last but not the least, high-speed broadband is the nonnegotiable part of using VPNs.